Ready When You Are, C.B. is hosting a TBR Dare from January 1 to April 30, 2011 (or whatever subset of that you so choose). 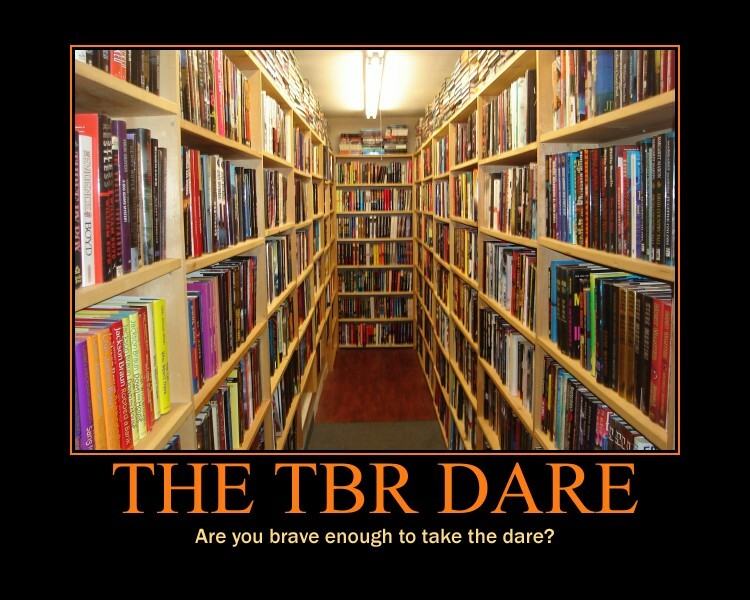 The dare is to read only books from your own shelves. My Mount TBR is becoming exceedingly insane, and it is beyond time to do something to get it under control. So, my goal is to only read books from my own shelves - with the exception of books received for review, as I made a commitment to the tour groups and I don't want to renege on that - during the month of January. Anyone want to join me in this challenge? Click here to sign up!